A happy and healthy smiling boy! 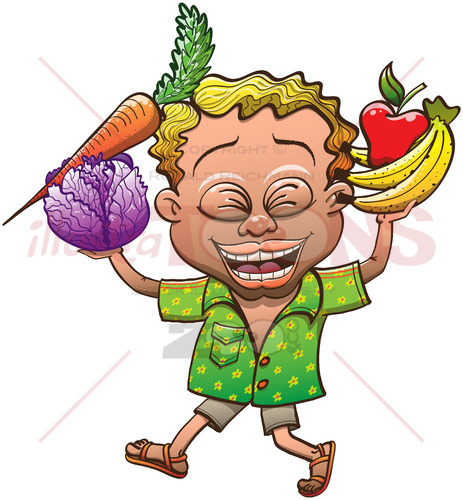 Joyful and enthusiastic little boy with tanned skin and blond hair, wearing tropical clothes while posing, smiling and showing how happy he is to be able to present the fruits and vegetables of his land. A sustainable way to make crops grow while preserving nature. You do surely think that this boy is really charming and these carrot, apple, cabbage and banana are absolutely healthy and appetizing.